Holiday China Tour is the most famous professional photo tour organizer offering the best value Guilin Photography Tours! Our goals are to provide you with a unique travel experience, to explore Guilin with a new vision. Our Guilin Photography Tour packages are designed and guided by experts of Guilin Photographers Association that enable you to appreciate not only the amazing natural landscape and cultural treasures etc. We offer you various kinds of Guilin photography tour packages in Guilin for you to record Guilin's natural and cultural beauty and tailor-made itinerary will also be available. Whatever your wish for a most memorable art creative photography tour in Guilin, Holiday China Tour will exceed your highest expectations. 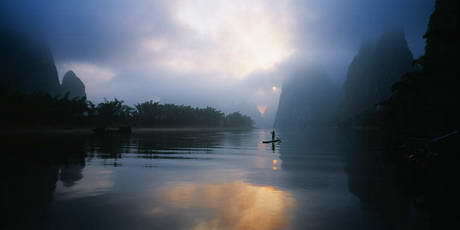 Welcome to join the leading and most popular Guilin Photography Tours. Our fixed departure join-in group Guilin photography tours cover the most famous photographed area like Li River, Yangshuo and Longji Rice terraced fields. Fixed departured Guilin photography tour packages are designed and escorted by local professional photographers. And the prices are also fixed. Participate our fixed departure Guilin photography tour, our guide will take you to get the best light, and increase chances of great shots. 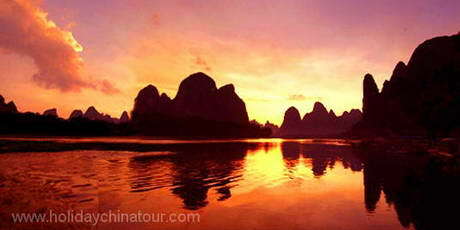 Welcome to join the Guilin photography day Tours. Our half day join-in group Guilin photography tours depart from Guilin. And the prices are also fixed. 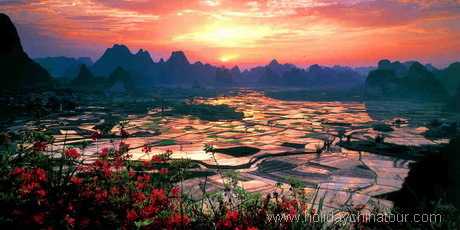 The selected Guilin sunrise photography locations are the best places for all kinds of weather all the year round. 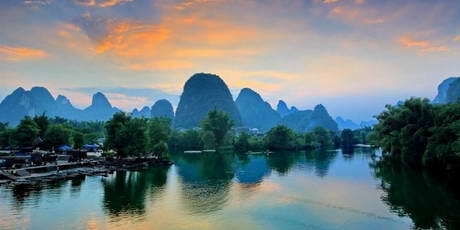 Guilin is rich in photography tour resources. We take you to the most picturesque places, at just the right time, and lead you towards capturing some of the most amazing images. Holiday China Tour offers various professional Guilin photography tour packages to enjoy ultimate art creative and back-to-nature experience in the beautiful landscapes and countryside life in Guilin, Yangshuo and Longji, Longsheng. 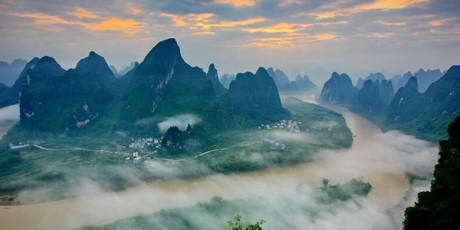 We would like to compliment HCT the excellent and professional Guilin photography tour service. We did appreciate not only the amazing natural landscapes and cultural treasures, but also the friendly local ethnic minority people. It was truly an unforgettable experience to us all. Our Guilin photography tour guide, Mr Lao, was great and very professional. He carefully selected destinations that offer a wealth of photography opportunities, such as the amazing Rice Terraced Fileds in Longji, beautiful Li River and idyllic Yangshuo County in picturesque Guilin. We were quite satisfied with the photographic models: cormorant birds and fisherman model and textile women models. Many thanks for your assistance and we will certainly recommend HCT to anyone who may be travelling to China for Guilin photography tour purpose in the future.